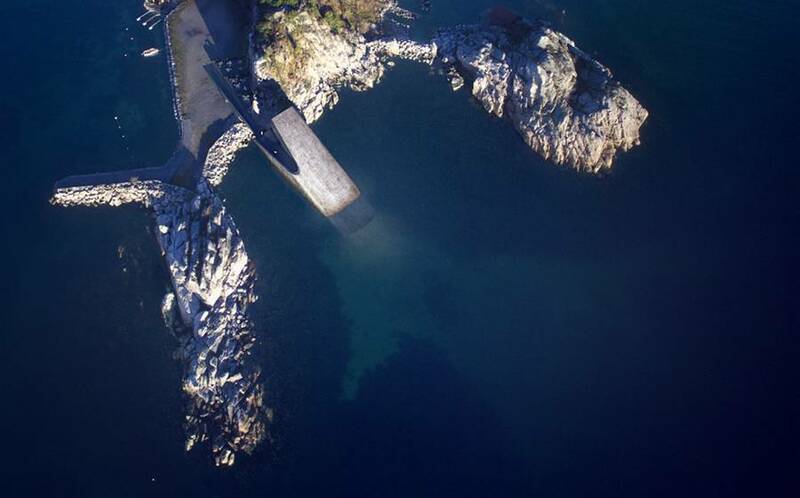 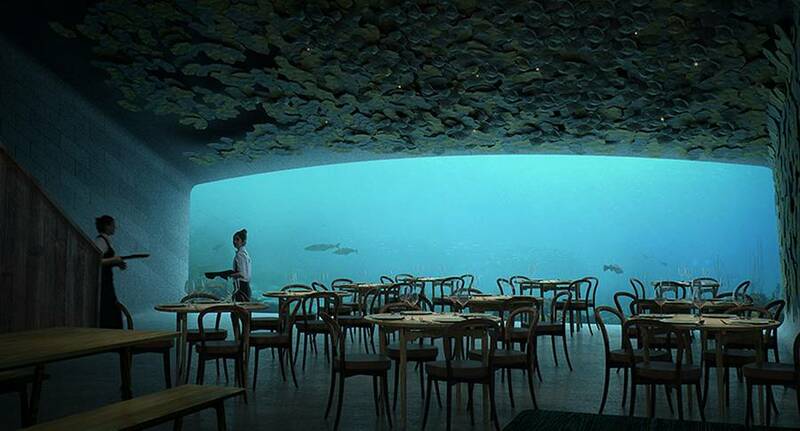 “Under” Europe’s first underwater restaurant, at the southernmost point of the Norwegian coastline. 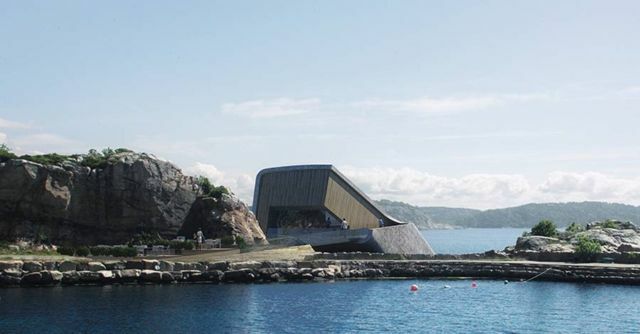 Snohetta has designed this impressive underwater restaurant by the village of Båly, which will also function as a research center for marine life, is a tribute to the Norwegian coast and to Lindesnes – to the wild fauna of the sea and to the rocky coastline of Norway’s southern tip. 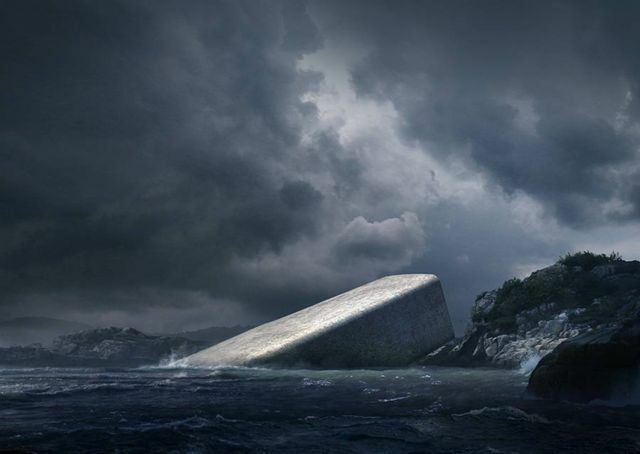 Under’s namesake holds a double meaning: In Norwegian, “under” can just as well be translated into “wonder.” Half-sunken into the sea, the building’s monolithic form breaks the water surface to lie against the craggy shoreline. 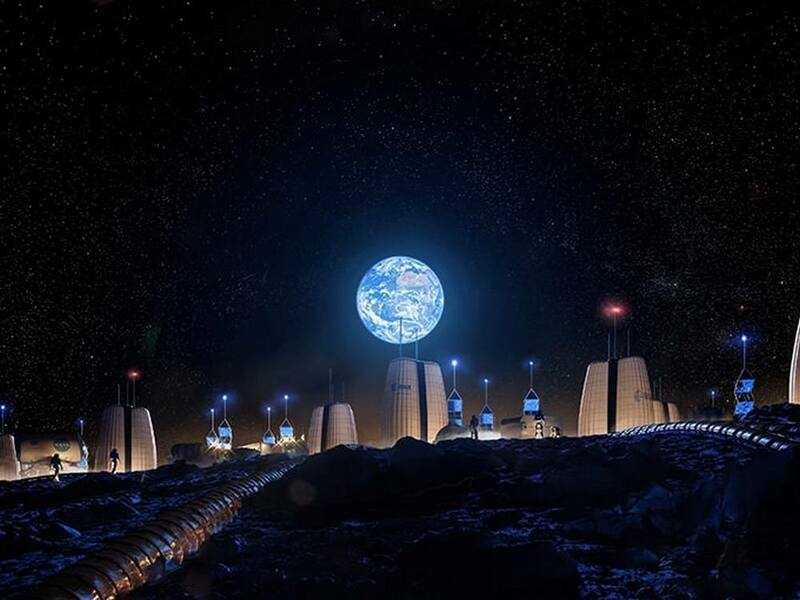 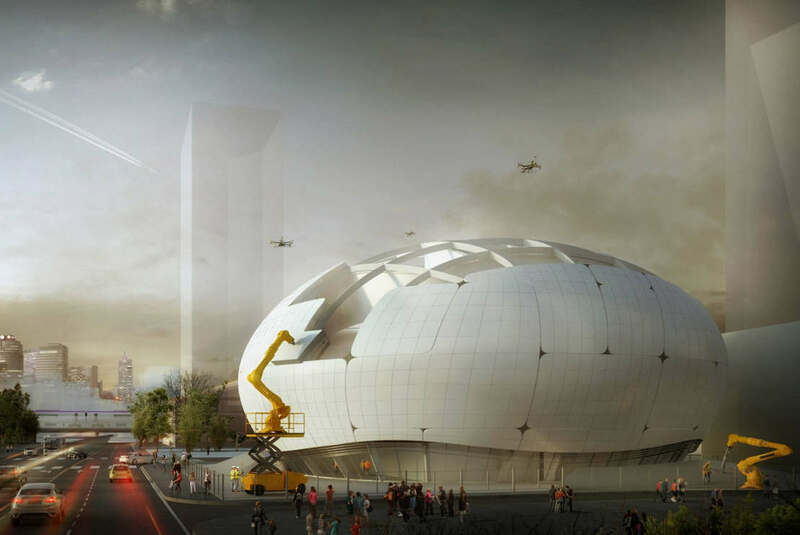 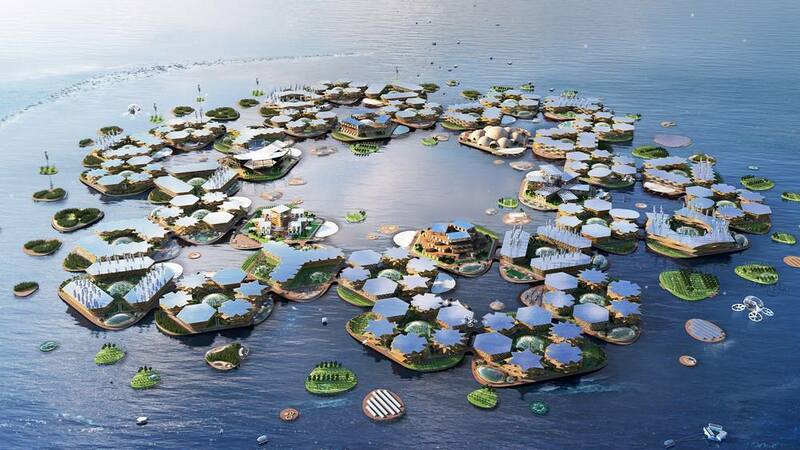 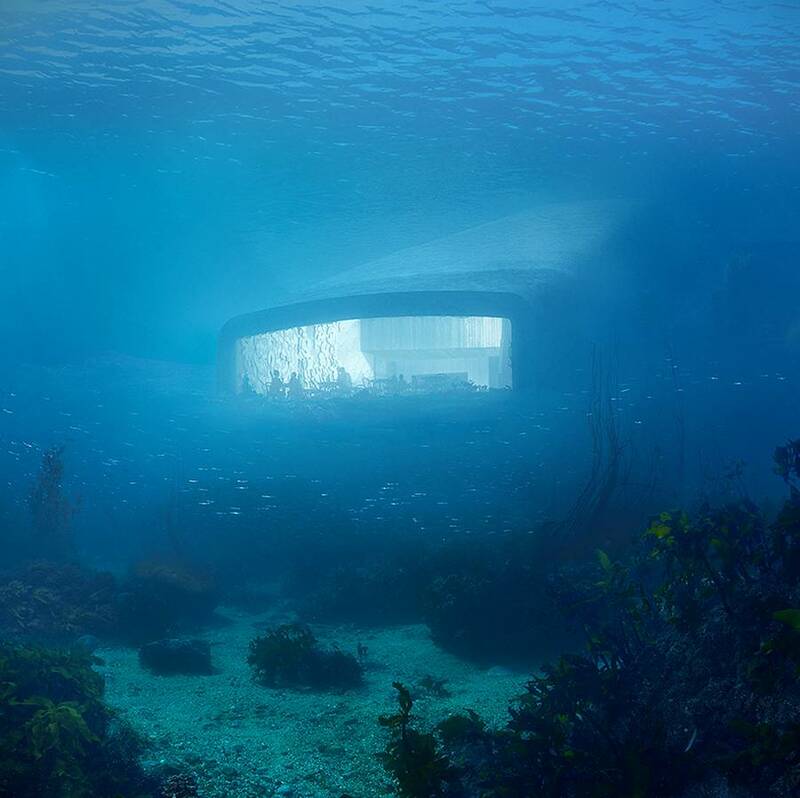 More than an aquarium, the structure will become a part of its marine environment, coming to rest directly on the sea bed five meters below the water’s surface. With meter-thick concrete walls, the structure is built to withstand pressure and shock from the rugged sea conditions. Like a sunken periscope, the restaurant’s massive acrylic windows offer a view of the seabed as it changes throughout the seasons and varying weather conditions.